The FREE system next-to-skin under layer is worn at all times and consists of a t-shirt and boxer briefs. 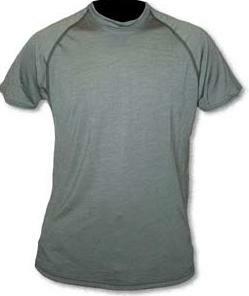 The t-shirt and boxer briefs are constructed with a tri-blend of lenzing FR rayon fiber, wool, and nylon. This layer is extremely lightweight and breathable to allow high moisture movement and quick drying. The t-shirt and boxer briefs are available in desert sand or foliage green.